Kate and Justin are expecting their first child when new neighbours move into the downstairs flat of their converted terraced house. The new couple, Theresa (Laura Birn) and Jon, are also expecting a child. While Theresa is full of joy at the prospect of being a mother, Kate (Clémence Poésy) is insecure and fearful about her ability to cope with the responsibility for a child. She quickly warms to the outgoing Theresa and a friendship forms. At a dinner party, it transpires that something is not quite right with the new neighbours, and a terrible accident abruptly changes the dynamics between them. Now The Ones Below turns into a dark, twisted psychological thriller full of suspense, suspicion and doubt. In perfect Hitchcock tradition, director David Farr plays with the ambiguity of perspective and visual trickery. The viewer is consistently held in doubt whether Kate imagines events or whether they are real, in a manner reminiscent of Rosemary’s Baby. Instead of supernatural elements, he stays firmly within the scope of the depths of human psychology, or psychopathy. The two female leads, Birn and Poésy, are an excellent pair in their interplay of emotion and suspicion, both portraying whole personalities, and staying far from the clichés the story might lend itself to. 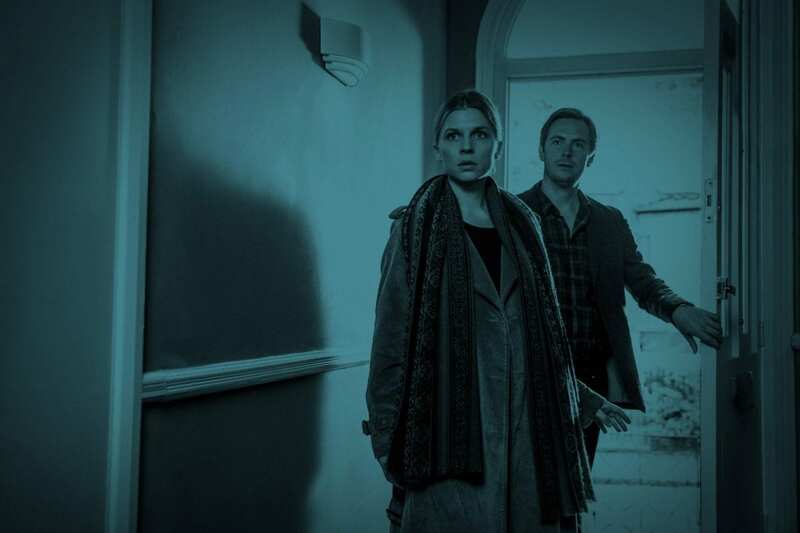 And it’s not a story of stereotypical female neuroticism either: Jon (David Morrissey), Theresa’s husband, is just as twisted and inscrutable a character as her. In his first move from theatre to cinema, Farr sustains the suspense and creepiness until the end, not least with his use of colours and set design, subtly enhancing the feeling of uneasiness that arises, but is hard to really put one’s finger on – a thrilling, stomach-turning film in which Farr puts all the best cinematic tools to effective use.